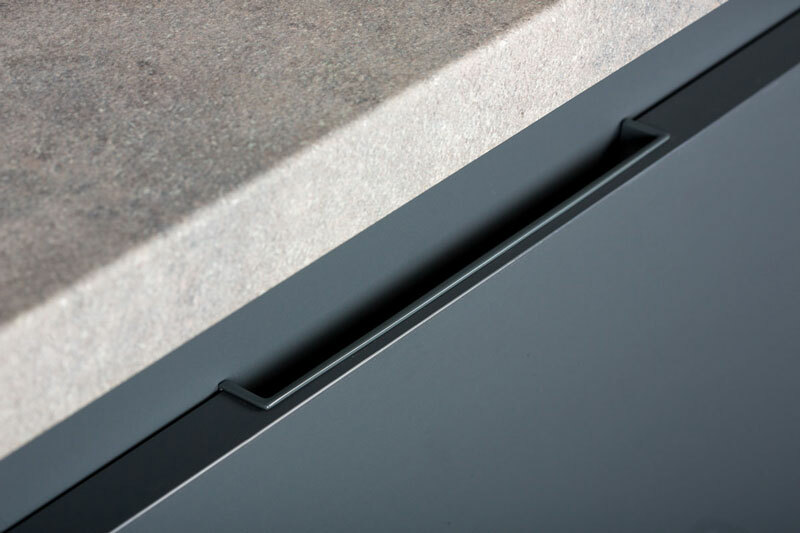 [en] The built-in handle Hide is to be found on furniture that is barely visible. It has been designed especially to provide discrete, decorative solutions of little volume to bathroom and bedroom furniture. It is plain, small and has a very simple design which goes almost unnoticed and blends into almost all types of decorative styles. 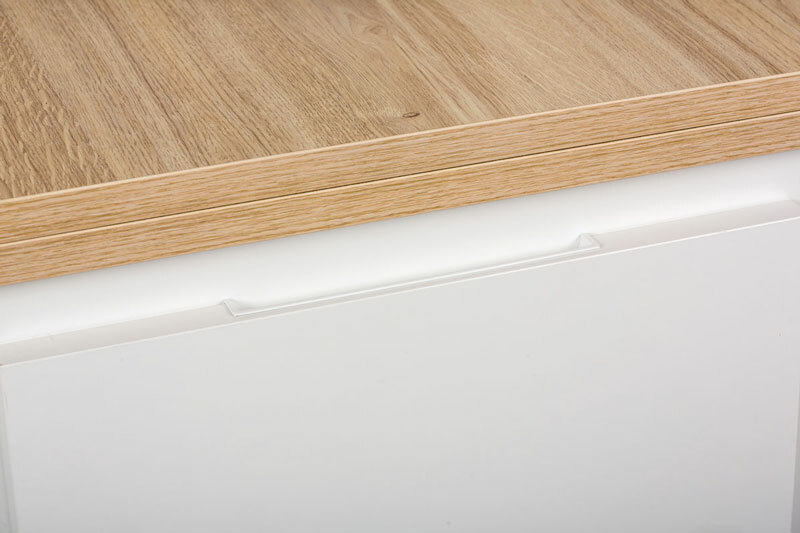 It is manufactured in Zamak and it is fitted onto the sides of doors and drawers following a fast amd simple installation process. Owing to the great success it has had since its launch, we have increased the range of sizes and finishes available. 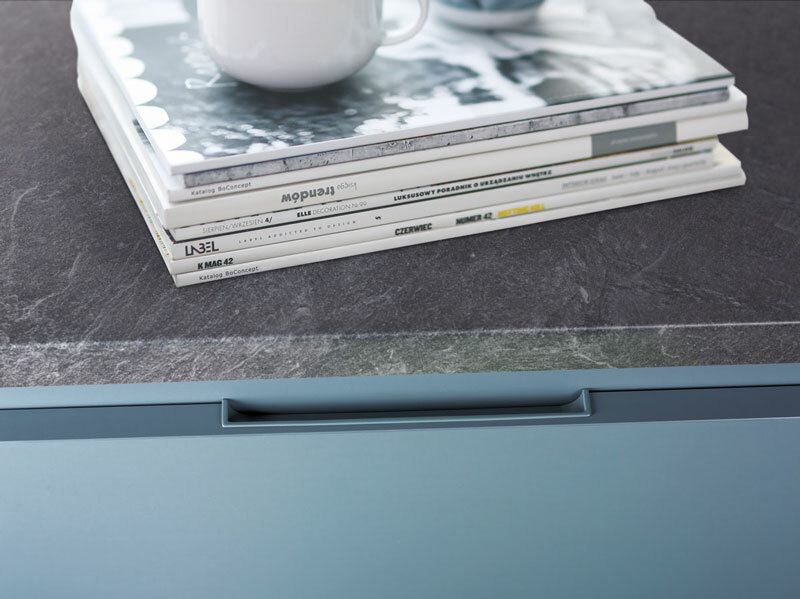 At the moment we can find it in bright chrome, brushed nickel, matt white, matt grey and matt black, all of which come in sizes of 90mm and 180mm and combine well with the Nest handle (mod. 105) which can be fitted to the upper or lower part of Hide. In the purely chrome finish it is only available in the 200mm size and, owing to its length, can only be used on its own. 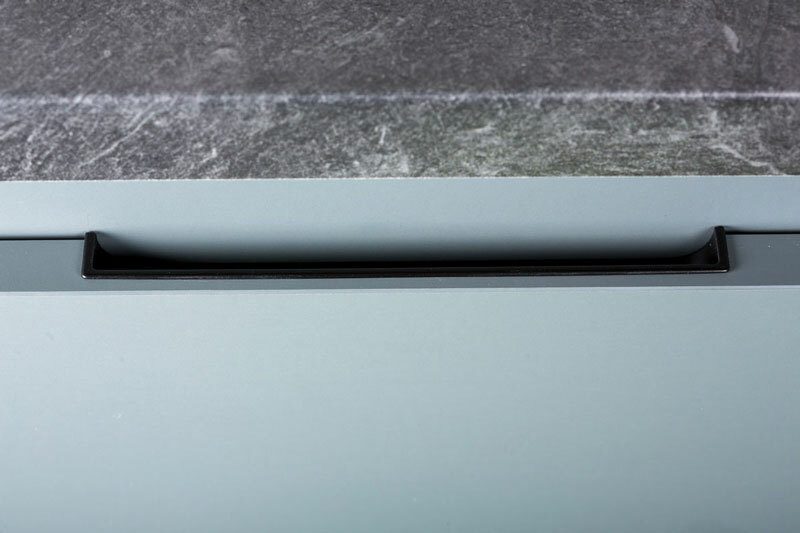 Choosing the handle in the same colour as the piece of furniture (white, grey or black) increase its camouflage efffect and provides a visible effect so that the handle and furniture are perceived as being one.